Appeal/Reconsideration requests can be made to the Health Plan by the member if they have received a Notice of Action (NOA) letter concerning a denial of a claim or a delay, modification or denial of a requested service. The request can be made by phone or on-line but must be followed up in writing and signed by the member or the member’s legal representative. For our Medi-Cal members this request must be made within 60 days of receipt of a NOA. For our Commercial member this request must be made within 180 of a receipt of a NOA. 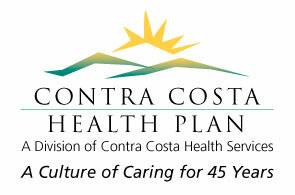 I authorize that all information pertaining to this grievance/appeal, possibly including medical records and clinical information, be shared with the Contra Costa Health Plan for the express purpose of resolution of this grievance/appeal. (Please check to agree/proceed.) If not authorized by member or member's legal guardian, we will be unable to process grievance/appeal without member's explicit agreement. If you experience any difficulties with this form, please contact us at 1-877-661-6230 (press 2). The California Department of Managed Health Care is responsible for regulating health care service plans. If you have a grievance/appeal against your health plan, you should first telephone your health plan at 1-877-661-6230 (press 2) and use your health plan’s grievance/appeal process before contacting the department. Utilizing this grievance/appeal procedure does not prohibit any potential legal rights or remedies that may be available for you. If you need help with a grievance/appeal involving an emergency, a grievance/appeal that has not been satisfactorily resolved by your health plan, or a grievance/appeal that has remained unresolved for more than 30 days, you may call the department for assistance. You may also be eligible for an Independent Medical Review (IMR). If you are eligible for IMR, the IMR process will provide an impartial review of medical decisions made by a health plan related to the medical necessity of a proposed service or treatment, coverage decisions for treatments that are experimental or investigational in nature and payment disputes for emergency or urgent medical services. The department also has a toll-free telephone number (1-888-HMO-2219) and a TDD line (1-877-688-9891) for the hearing and speech impaired. The department’s Internet Web site http://www.hmohelp.ca.gov has complaint forms, IMR application forms and instructions online.